Camp Moshava Wild Rose to is proud to announce Josh Zwelling as its new Camp Director. Josh comes to Camp Moshava with more than 15 years of leadership within formal and informal education. Josh has spent much of his professional career involved in chinuch in his hometown of Dayton, Ohio, where he held many position, including, most notably, principal of the Hillel Academy. Josh’s accomplishments in Dayton go well beyond the classroom. Josh impacted the entire community by bringing the Kollel Torah M’Tzion kollel to Dayton. Josh’s devotion to Torat Eretz Yisrael and vast experiences as a mechanech (educator) will certainly serve as a foundation while leading Moshava into the new decade.  Prior to becoming camp director, Josh was director of recruitment for Moshava, Wild Rose. Josh spent this past summer in Machaneh learning the ropes and getting to know the entire Moshava, Wild Rose family. The buzz among the Moshava community has already started. “Anyone who was in Machaneh this past summer would confirm that Josh is a powerhouse,” said Yitzi Matanky (Rosh Moshava 09, 10). Josh was involved with daily activities and did everything from teaching shiur to refereeing sports games. “The unique kind of energy that Josh brings to everyday life in camp is hard to come by,” said Jack Gottesman (Rosh MIT 09, 10). Josh has a smile for everyone and is always up for a good joke or card trick at shekem time. Tzevet and chanichim alike are looking forward to being in Moshava with Josh for summer 2011 and many summers to come. Camp Moshava Wild Rose to is proud to announce Josh Zwelling as its new Camp Director. Josh comes to Camp Moshava with more than 15 years of leadership within formal and informal education. Josh has spent much of his professional career involved in chinuch….